In addition to the Victoria Nile, the lake also receives inflow from the Semliki River in the south, which drains an additional area that includes Lakes Edward and George. The direct rainfall and inflow from Albert’s immediate basin is thought to be offset by evaporation over the lake surface. 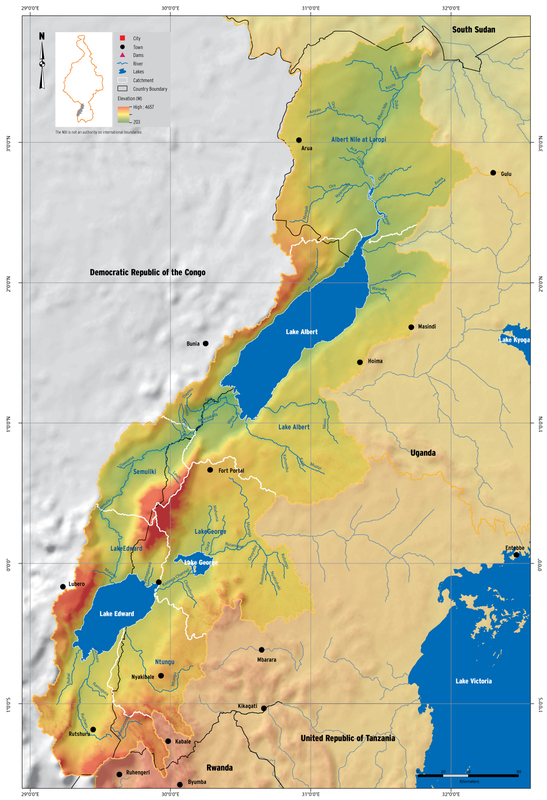 Therefore, the net contribution of Lake Albert to the main Nile flows is believed to be a result of the Semliki inflow (Shahin, 1985). The river leaves the northern end of Lake Albert as the Albert Nile, flows through northern Uganda, and at the Sudan border becomes the Bahr el Jebel. The average annual precipitation over the sub-basin is 1,179 mm and the average annual potential evapotranspiration is 1,544 mm.